The federal government is looking for new sources of "revenue" these days. Let's hope they don't target the over $100 billion spent on employee incentive programs, much of which is probably not taxed. That's because most companies don't understand that many of the incentives distributed through such programs are deemed by the Internal Revenue Service to be taxable income. "There's a simple rule," said one IRS attorney, "There's no such thing as a gift to an employee. It's all compensation." Well, almost. The IRS does allow a few exceptions, but they are so narrowly defined that it's difficult to devise an effective incentive program that doesn't subject employees to additional income tax. Plus, as you might expect, the rules are confusing enough that I've read varying opinions about what's tax exempt and what's not (thus I make no guarantees about the accuracy of this post!). As you can see, the usual annual bonuses do not meet three of these conditions. They typically are not contingent on the individual meeting specific performance goals. Worse still, they are delayed and infrequent, which renders them largely inconsequential in affecting near-term achievement. To counter these shortcomings, many companies are using more frequent, smaller rewards. One intriguing twist on this theme is a points-based incentive program. Instead of tangible rewards, employees are given points for meeting or exceeding certain performance expectations, which in turn can be redeemed for various rewards. There are many advantages to such an approach, both for employee and employer. But the IRS designates even relatively small rewards such as gift cards or merchandise subject to income tax. While the amounts may be negligible, paying tax on a jacket bearing the firm's logo, for example, is likely to diminish the perceived value of what is already a pretty modest gift. De minimis rewards. The IRS allows you to provide employees gifts, awards, or benefits of minimal value that fall short of constituting compensation. What's minimal? 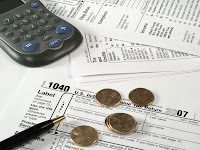 "A de minimis benefit is any property or service you provide to an employee that has so little value (taking into account how frequently you provide similar benefits to your employees) that accounting for it would be unreasonable or administratively impractical," says the IRS guide on fringe benefits. In other words, there is no definition of de minimis. Many tax experts draw on other IRS rules to conclude that the limit is $25 per employee per year. But that's merely an educated guess. Whatever the amount, it's not much. Which means it's tough to meet that first criteria (valued by the employee) based on cash value. Good thing that verbal praise and recognition is more valuable than many employers realize--and it's free and nontaxable. Intangible and tangible rewards. Cash gifts are viewed by the IRS as intangible and thus taxable income when above the de minimis threshold. The same rule applies to gift cards and gift certificates, and apparently to tickets to the theater, a concert, or a sporting event (although there is some difference of opinion on this latter category). The value of any intangible gifts or rewards above the de minimis level must be included on the employee's W-2 form. Gifts such as a holiday ham, turkey, or wine are not considered income because the IRS designates them as "tangible personal property" that has nominal value. That is, as long as the value of such tangible gifts are "nominal"--whatever that means--and given infrequently. But don't give employees a gift certificate to pick up the turkey themselves. That's the equivalent of cash. By the way, that merchandise with your company logo on it? If you give it to your employees, it's apparently subject to the same de minimis rule, although I've read a variety of opinions about this. If it's clothing that can be considered a "condition for employment" (e.g., field personnel wearing logo'd shirts) or "suitable for everyday wear" on the job (? ), some experts consider this exempt. Achievement awards programs. Tax-exempt tangible personal property "awards" (e.g., plaque or merchandise) can be provided to employees with a value up to $400 for a single employee over the course of a year. If you have a written plan, that amount goes up to $1,600. Now we're talking! But there's a catch, of course. Apparently, this exemption can apply to no more than 10% of your employees. That's not much of an incentive program, is it, if you can only recognize 1 in 10 workers. Interestingly, the IRS seems to be more flexible with respect to holiday and end-of-the-year gifts and awards. But, again, these do not constitute effective incentives the rest of the year. I could go further, but my head hurts and I'm not sure what I'm telling you is totally accurate anyway, despite reading several articles and the IRS guidance on this subject. What can you do? Learn what you can about the tax rules on employee gifts and rewards. I don't know how many IRS documents cover this topic, but here is one. As I mentioned, I read several articles by the supposed experts and found divergent views. If you provide incentives or gifts to employees that potentially fall under the rules mentioned above, you may need to hire your own expert to guide you (recognizing that he might not be totally right either!). Determine how much uncertainty you're willing to tolerate. Apparently many companies have decided to proceed with incentive programs that potentially violate tax rules. Lacking clarity on what specifically qualifies as tax exempt rewards, they've forged ahead with the intent of doing what they believe is right for their employees. You may or may not choose to do the same, but at least be informed and deliberate in your course of action. Focus on positive reinforcement that doesn't fall under IRS scrutiny. The research shows that cash and tangible rewards are not nearly as effective in incentivizing performance as many firm leaders assume. Check out this earlier post on which incentives work best, as well as these posts on positive reinforcement ( and ). Dealing with the IRS, and taxes in general, can be very tricky. I know I have had many times where I could have saved some money if I knew what I was doing. I decided to try and save some money next time and got professional irs tax help. I made the right decision. With the help of professionals, I negotiated a compromise with the IRS and ended up paying less money.